Cestem is a liver flavoured broad spectrum wormer, which kills every type of intestinal worm commonly found in UK dogs. 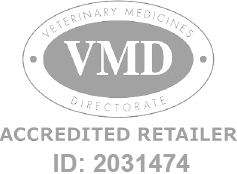 Cestem Flavour Tablets for Dogs is a Prescription Only Veterinary Medicine and by law requires a prescription from your vet. The tasty flavour makes Cestem very easy to give, either in food or as a treat. Cestem contains 150mg febantel, 50mg pyrantel and 50mg praziquantel.